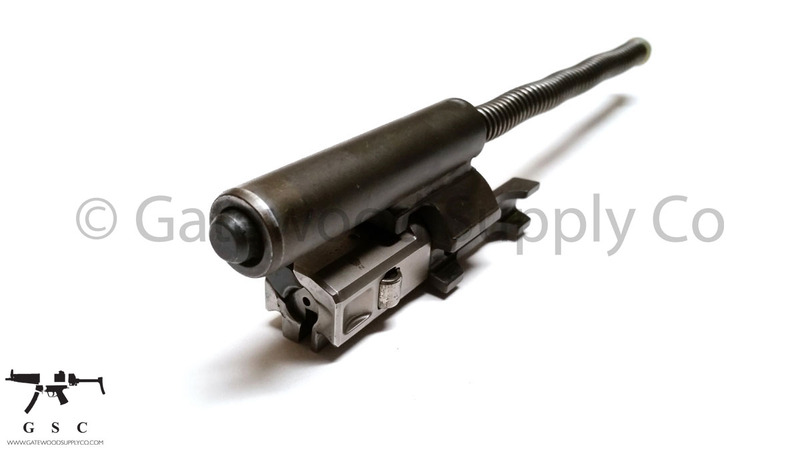 Factory German HK MP5 9mm Full Auto bolt carrier group with Action 3 Bolt head in used good to very good condition. 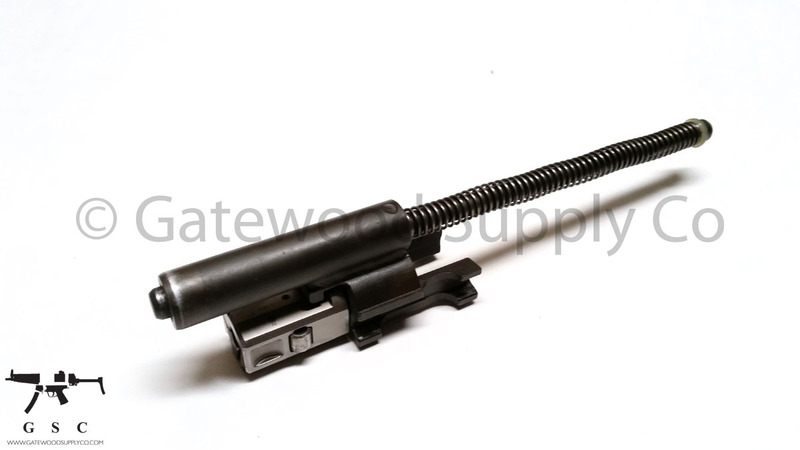 Includes Bolt, Bolt Carrier, Locking Piece, Firing Pin, Firing pin Spring, and recoil rod assembly. 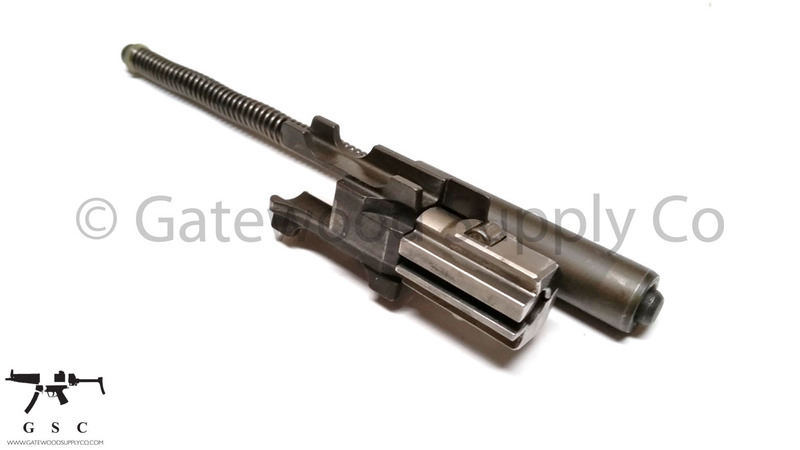 Bolt and Carrier are date coded, date codes my vary. This does NOT change the function of a semi auto only firearm. Stock Photo.